White Blossom Care Center has many physicians credentialed to participate in providing care to either the attending physician or as a consultant. These physicians cover most major disciplines and allow our facility to provide excellent care to our patients. 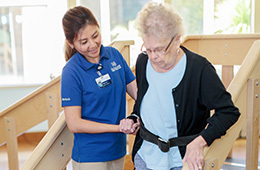 With their diverse specialties and extensive background in short-term post-acute care, our professional partners will provide you or your loved ones with daily, high acuity care. 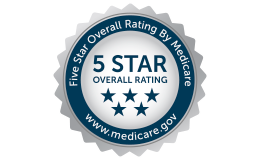 Most skilled nursing facilities have a physician or nurse practitioner visit each patient once every thirty days. At White Blossom Care Center, we have a physician in our building almost every weekday and often on the weekends. The physicians are available 24 hours per day, seven days per week. All of this allows us to provide better patient care and prevent hospital re-admissions.